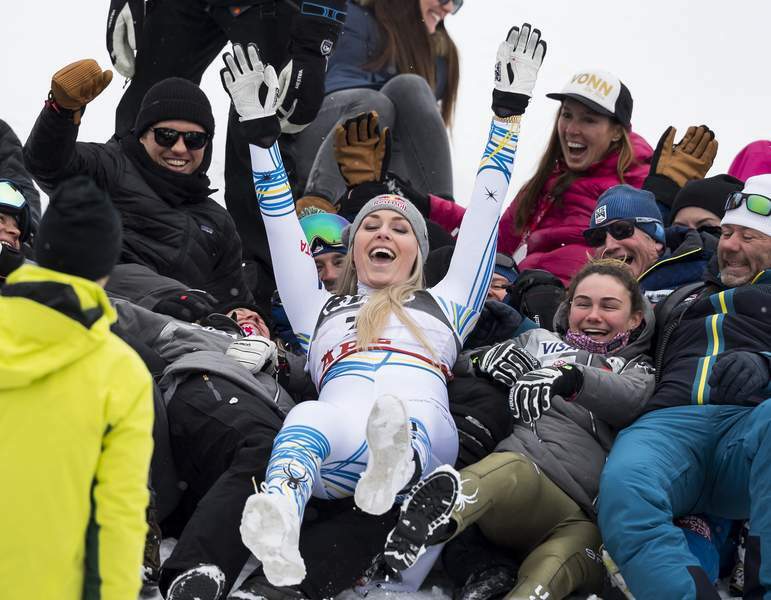 Associated Press Lindsey Vonn celebrates with her U.S. Ski teammates after winning the bronze medal Sunday in the downhill at the world championship, her final race. She's shed so many tears that there are none left – just like she no longer has any cartilage in her knees. Eventually, Ilka Stuhec of Slovenia beat Vonn and took gold, defending her title from the 2017 worlds. Stuhec finished 0.23 second ahead of silver medalist Corinne Suter of Switzerland and 0.49 ahead of Vonn. Now she can finally let her body heel and move onto the next phase of her life.